When you need a service for Fire Extinguisher Maintenance Surrey firm ETC Fire is here to help. We can advise on all aspects of installation, maintenance of your fire extinguishers. 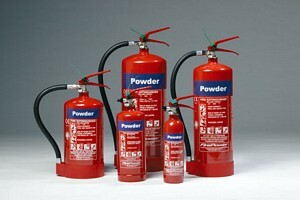 We also offer periodic inspection of all your fire extinguishers and fire precautions. ETC Fire can also help with training for your staff and supply of new/updated equipment. Your fire extinguishers are the first line of your defence when it comes to an emergency and it's important to have the right equipment in place - stored in the right place and easily available to use. Your fire extinguishers also require regular servicing, checking and re-charging at intervals. We offer professional Fire Extinguisher Maintenance Surrey areas to our clients from experienced and fully trained personnel. When it comes to fire extinguishers, your equipment is only as good as the people who are operating it. It is a legal requirement to have all your staff given periodic basic fire training in how to prevent, or stop a fire before it takes hold. The training will cover a lot of ground and ensure that your employees are confident about fighting a fire on your premises. How to extinguish a fire. Hands on demonstrations are always held where possible using a controlled fire that your instructor has started for the purpose. Otherwise, the training is effective without a real fire. Protect your people and premises by contacting us to arrange a visit and an inspection from a representative of ETC Fire.